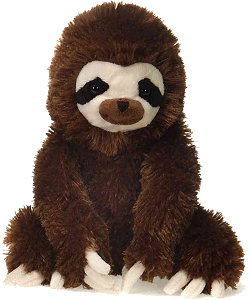 This adorable Lil Buddies three-toed sloth stuffed animal is cute and cuddly with soft and shiny brown fur, cream claws, a cream, black, and brown face with sweet black eyes, and a wonderfully huggable body. And just as its name implies, this lovable plush sloth will be your little buddy for life. This adorable Mini Flopsies two-toed sloth stuffed animal has soft tan fur, two-toed tan feet, and a sweet cream face. 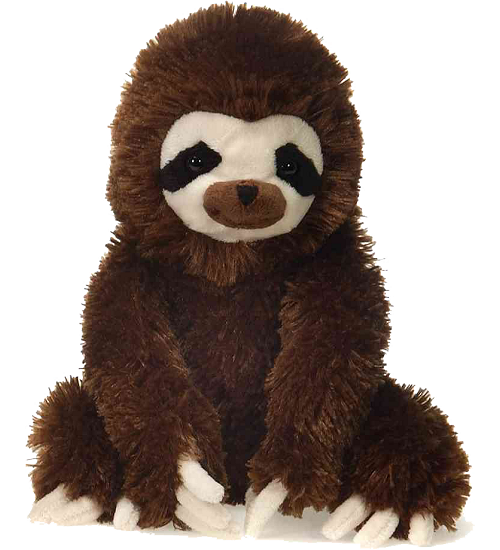 Sassafras is an adorable three-toed sloth stuffed animal with a super-sweet smiling face and huggable body. Lollipop, this adorable Li'l Sweet & Sassy stuffed 3-toed sloth, has soft hot pink fur and beautiful sparkly blue eyes. This sweet Mini Flopsies wooly mammoth stuffed animal has soft root beer brown fur, adorable tusks, and warm brown eyes. This sweet Lil Buddies plush longhorn bull is cute and cuddly with soft rust fur and stately tan horns. This sweet Lil Buddies plush black panther is cute and cuddly with soft black fur and beautiful blue eyes. This sweet Lil Buddies plush leopard has soft spotted tan fur, curious black eyes, and irresistible smiling face.